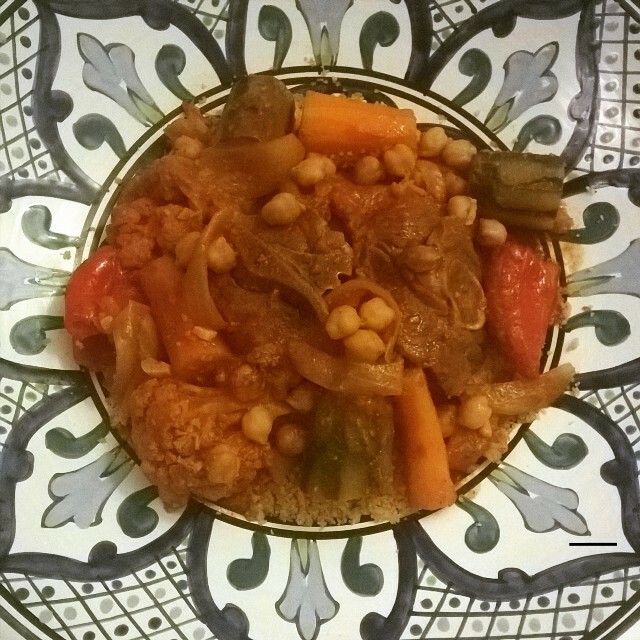 I already mentioned in my post about living abroad that cooking traditional Tunisian meals is one of my ways to deal with homesickness. Whether I’m in Tunisia or abroad, delicious culinary adventures from the homeland is a must for me. The Tunisian cuisine in general is a blend of Mediterranean and Berber culinary traditions. Like most, if not all of the Mediterranean cuisines, Tunisian cuisine has so many delicious dishes. If you ever visit Tunisia and I think you should, here is a list of classics for you to indulge while there. It’s our national dish, if we are celebrating weddings, we eat couscous, if we are mooring our deaths, we eat couscous. 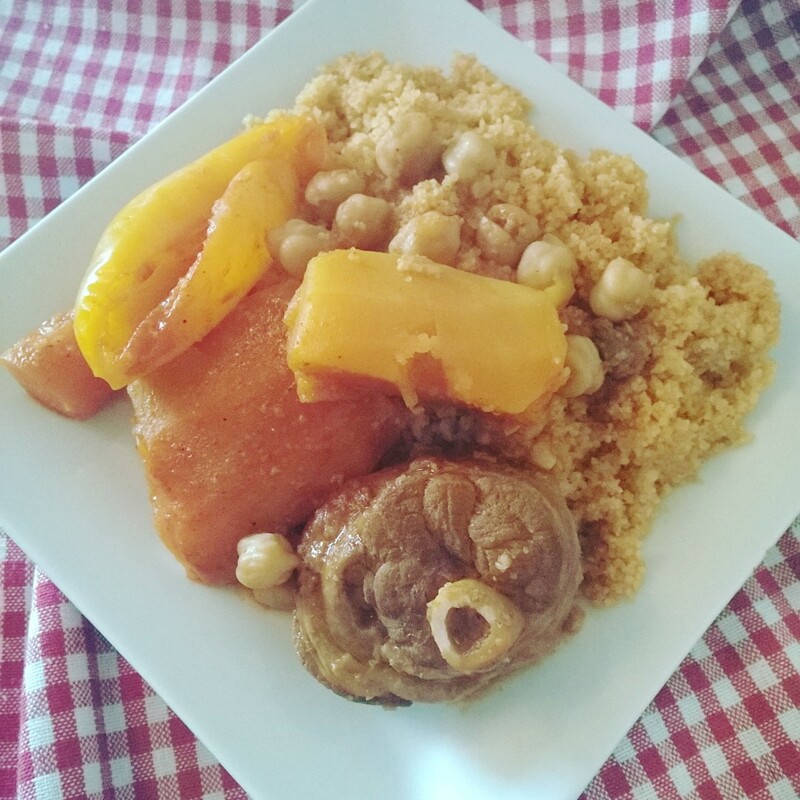 Couscous is what holds the Tunisian family together! Sunday, it doesn’t matter what you planned, lunch time you need to be around the table to share the Sunday couscous with the family. Couscous is to Tunisia what Sunday Roast is for UK or what pasta is for Italy. Healthy, delicious and vegetarian! The name translates literally into “Grilled Salad”. It’s made with grilled peppers (usually medium hot) , grilled tomatoes, grilled onions and optionally grilled aubergine, all mixed together after taking out the burnt skin then spiced up with salt and pepper, olive oil and coriander seeds spice. I love my mechouia topped with olives, tuna and boiled eggs. Yummy! Make sure you pronounce it “Breek”. This is probably my favourite appetizer of all times. It’s a deep fried pastry filled with a mix of eggs, tuna, parsley, cheese and capers (What possibly could go wrong with that? NOTHING). If you feel any braver, you can have your “breeka”( because “breek” is the plural form!) with a whole egg topped with the same ingredients. Few can make it this way without having the egg yolk all over the pan. I’m one of these few. People can be very creative with the filling, it can be different things. Some opt for a healthier “breeka” by baking it in the oven instead of deep frying. The star of Ojja is egg. It’s a spicy ‘stew’ made of tomato paste, tomato, peppers, spices etc and of course eggs, typically runny eggs. There are few varieties of the dish: You can have it with only what I mentioned in that first sentence, which is probably the basic on-budget version (what mothers feed us when they don’t feel like cooking dinner 😉 ) or you can have Ojja Merguez which is Ojja with Lamb sausage ( Merguez == sausage that’s right), you can even go posh and try the Seafood Ojja. Apparently the name Kafteji comes from the Turkish word Kofteci (c in Turkish is pronounced j, I know that because I’m learning Turkish) which means the seller of Kofta. It makes complete sense because we had the Ottomans in Tunisia and I’m about to say that kofta and kafteji have almost the same ingredients but this is not really the case! 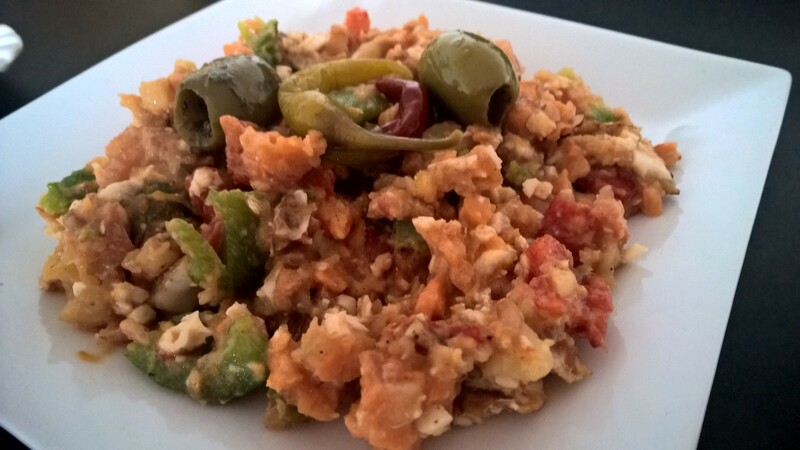 Kaftji is made out of fried potatoes, tomatoes, peppers, eggs and courgettes and then chpped up all together with a big knife. 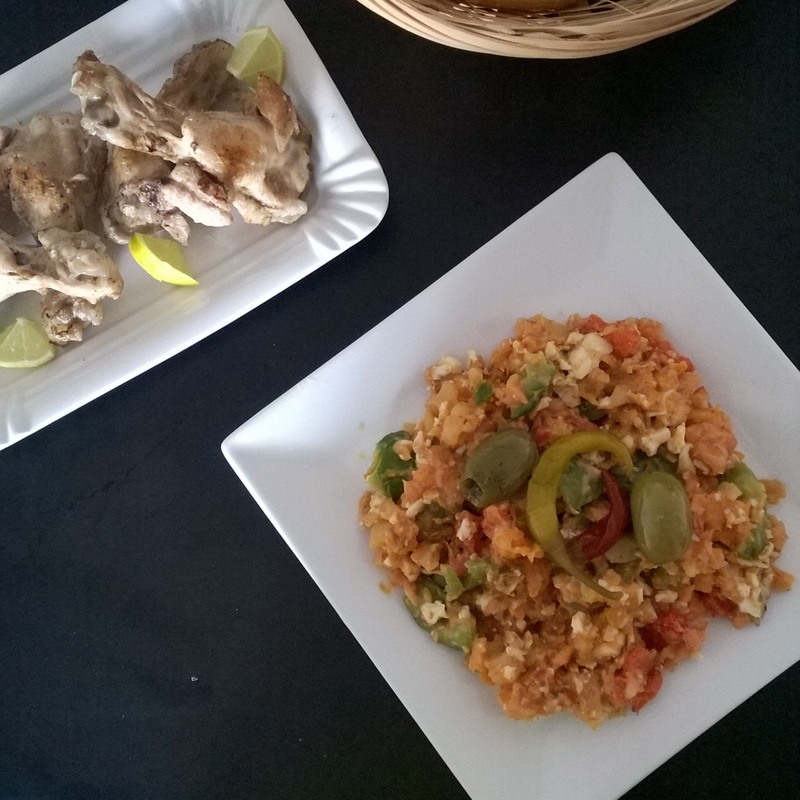 This is only a sample of the delicious tunisian cuisine, probably my favourite dishes. There are plenty of other amazing dishes that you should try.